Proteins are the building blocks of your body. From genes to your hair – everything is protein. So, provide your body with the adequate amount of lean protein in the form of eggs, lentils, beans, soybean, chicken breast, turkey, fish, mushroom, tofu, etc. Protein is tough to digest and will create an energy deficit in your body. This, in turn, will help you burn more calories. Moreover, consuming protein will help you build lean muscle mass and make you look toned. Green tea and oolong tea are the best beverages for promoting weight loss. Both green tea and oolong tea are obtained from the plant Camellia sinensis, but they differ in the way they are processed. They are rich in antioxidants that help prevent DNA damage and metabolic slowdown. Drinking green tea also helps you relax and keeps stress at bay. 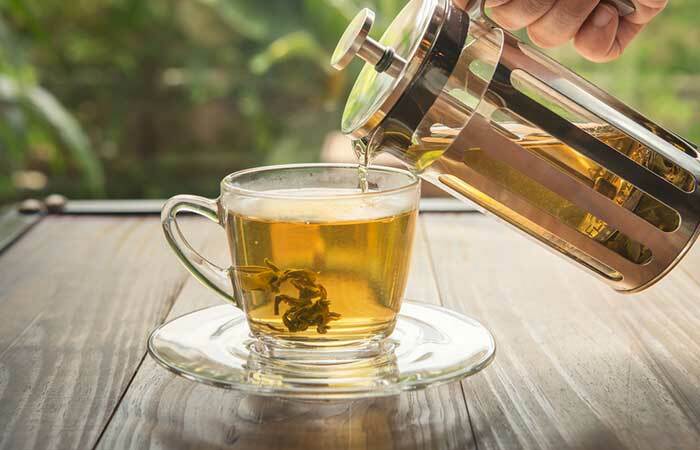 Since stress causes you to gain central fat, you must drink at least three cups of green tea or oolong tea every day to maintain your weight loss.